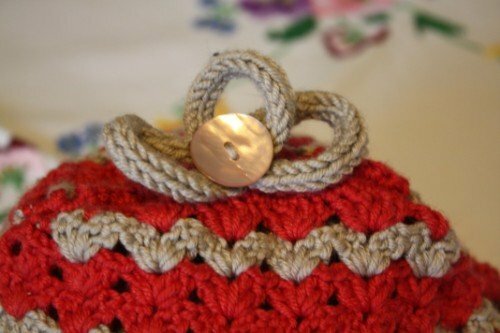 A little vintage crochet number to keep you teapot snug. 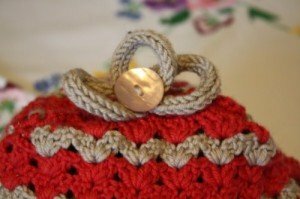 The loops on the top are intended to give you the ability to hang the cosy up. This is just such a sweet little teacosy, Thank you so much for sharing the pattern! This is just what I’ve been looking for! The button and multiple loops really add a lot, too. I can’t wait to make this! Thank you! thank you for this – just what I’ve been looking for – can’t wait to start it ! 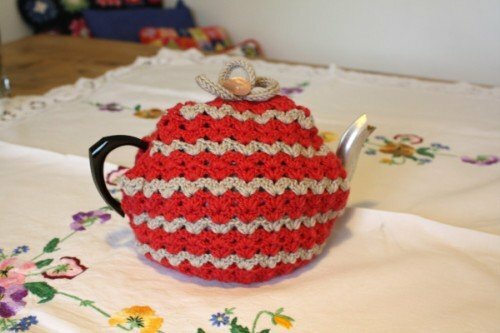 This tea cosy is sooooo pretty. And will be perfect for our family trips. 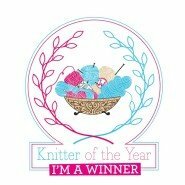 Am excited about making this! Just the pattern I need, it’s adorably cute! Thanks so much! 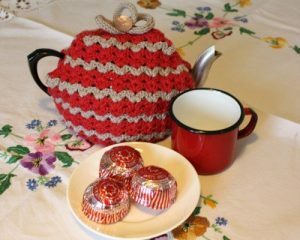 Thank you Carol, it is featured in Teacozies 4 if that is any help.